Take a look at our ever-growing range of classic and timeless hand-crafted European light fixtures, made to set highlights to your home or studio as well as any hotel room and lobby. Our lamps range from elegant Art Nouveau, Art Déco, Mid-Century Modern and classic Industrial Style and are all carefully built in small German, French, Italian and Belgian workshops. For inquiries and orders, please call 0049 821 / 450 45 25 (monday through friday from 9am–1pm and 2pm–4pm CET). 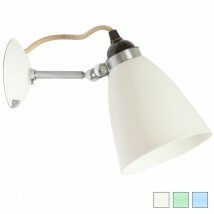 This pull-out ceiling light with telescopic arm can be swiveled 86° in all directions through the ball joint wall piece. 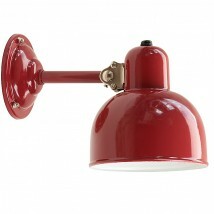 The shades are available in various colors and finishes (black, white, red, chrome-plated, copper polished or raw copper). The dramatically curved metal shade spreads a particularly pleasant and glare-free light - ideal for the dining table, available in different sizes and finishes. 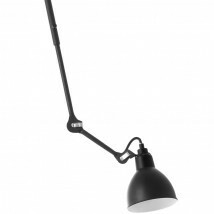 This model of the classic scissor lamp is handmade in Germany. It is available in black or silver. Four sizes from Ø 16 - 54 cm, many RAL colors available. 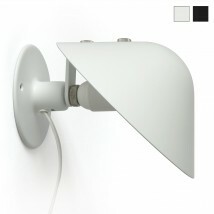 The base and the adjustable shade of this exclusive wall sconce are made of translucent bone china. Available in two sizes and various pastel shades, optionally available with switch and / or external cable. 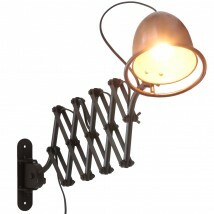 Classic model of an industrial style factory lamp from the EBOLICHT collection made of spun steel, in various sizes and finishes. Available in all RAL colors! 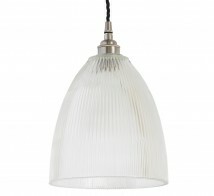 This pendant lamp with a cup-shaped shade made of high-quality holophane glass is suitable for many indoor environments. It is made by hand in an Irish manufactory. 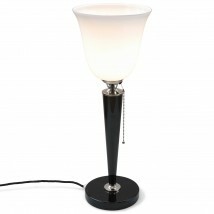 The lamp is available in various models. 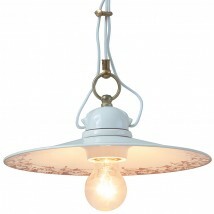 Art Nouveau ceiling light with mouth-blown opal shade in hemispherical shape suspended from a short brass tube. Handmade in Germany. Available in various brass surfaces, polished, patinated, nickeled etc. 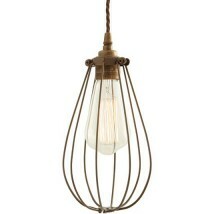 This minimalist brass industrial lamp with a whisk cage is handmade by an Irish manufactory. It is available in a variety of colors. 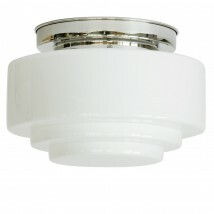 This elegant wall-mounted luminaire (34 cm high) is ideal for exclusive lighting in the bathroom or swimming pool; IP 44. Available in different brass or copper surfaces (nickel plated, natural, black, etc.). 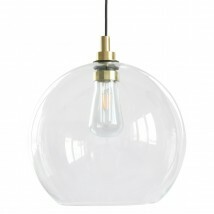 Pendant luminaire with high-quality, hand-blown glass ball in 5 sizes from Ø 20 to 40 cm and brass, steel or copper elements. The glass is available either as clear glass or amber glass. The metal parts are available in different versions: (antique) brass, steel, copper. 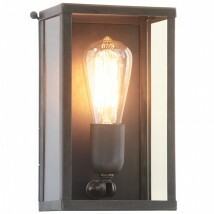 Wall lantern with glass panes on five sides exclusively made of brass. Available on request in various designs. 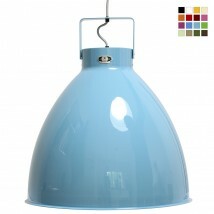 This ball pendant lamp was designed by French architect Bertrand Balas in 1969. When switched on, the light from the reflector funnel pointing downwards shimmers through a circular gap and creates a magical play of light through the upper opening. 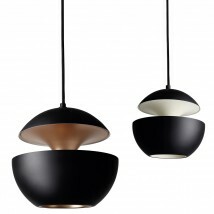 Available in different sizes (Ø 175 to 550 mm), optionally in white or copper inside. This unique scissor lamp for wall mounting with patinated copper shade is handmade in Holland. 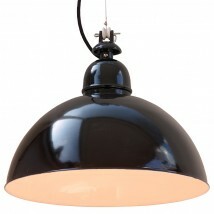 The suspended lamp series TITAN from the Sheffield-based BTC manufactory is based on a design from the 1940s. 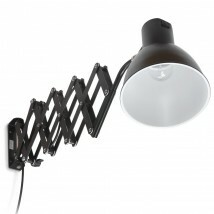 This light is available in three sizes (up to Ø 56 cm!) and in different color finishes. The solid and robust Jieldé table lamp LOFT is a true icon of the French industrial style. The characteristic arm joints, the hemisphere reflector and the frame can each be adjusted by a full 360°. Available in a variety of colors and in chrome. The design of this flat industrial ceiling lamp corresponds to the functional design of traditional industrial luminaires. 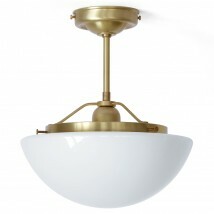 The vaulted brass shade is manufactured in the Irish manufactory. 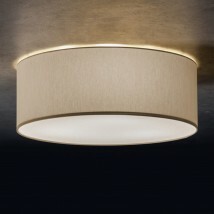 The lamp is available in various brass finishes. 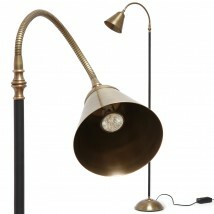 This elegant handcrafted brass reading light from France can be adjusted accordingly thanks to its flexible arm. 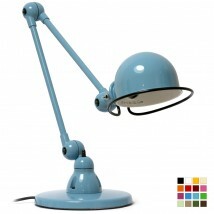 The floor lamp can be ordered in different surfaces or colors. This reading floor light includes a footswitch and dimmer. 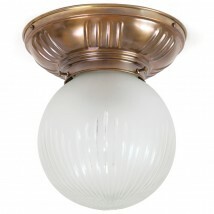 This Art Nouveau glass ball ceiling light is masterfully crafted from brass in a small manufactory. 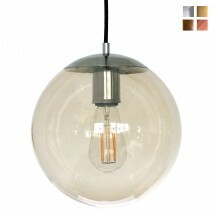 The mouth-blown matte glass ball is available with or without decorative finish. Various brass surfaces (polished, patina, nickel-plated) are available. This handmade replica of a beautiful Art Deco wall sconce with a height of 30 cm is suitable for corridors, lobbies and stairwells. The body is made of brass (available in different finishes, for example patinated or chrome plated). 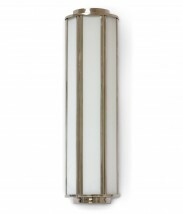 The typical Art Deco ceiling light with a flat base and triple stepped opal glass is also suitable for larger rooms. It is available in four sizes with 20 cm, 24 cm, 30 cm and 34 cm glass diameter. The brass parts are available in different surfaces (natural, nickel-plated, patinated etc.). 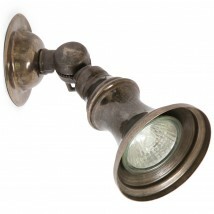 This rustic, small brass spotlight can be used as a wall or ceiling spotlight and can be aligned by means of a joint. 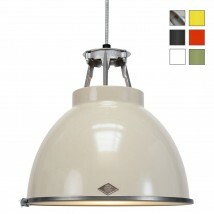 The luminaire is available in various designs. 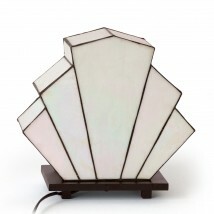 The elegant Art Déco classic among table lamps, the "Mazda lamp", is a design from 1930s Paris. 55 cm or 67 cm high, different colors and designs. Special model of an adjustable wall lamp based on the symmetrically cut Ebolicht reflector "Duisburg" - handmade from sheet steel. Available in different surfaces and colors. 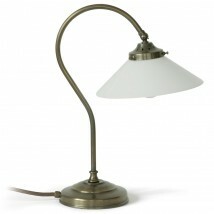 Graceful country house table lamp made of brass with hand-blown glass shade in conical shape. A ball joint allows the glass to move in all directions. Available in various brass surfaces. Handmade in Germany. 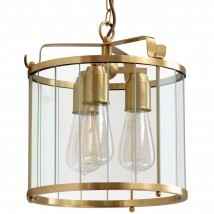 This handmade pendant lamp from Munich is made of solid brass or copper, three-flame pendant lamp with cut glass panes. Various brass finishes, matte, gloss, chrome, etc. This height-adjustable ceramic pendant lamp from the I Classici collection in Ceramica with a smooth plate shade (Ø 28 cm) is available as a pendulum or as a pulley pendant lamp. This pendant lamp with its organic, elegantly shaped porcelain shade is handmade by the English manufactory BTC. Available in three sizes of 13 cm, 18 cm or 25 cm in diameter. The lightbulb is covered with a glass flask designed after the shape of an old Edison ™ bulb. 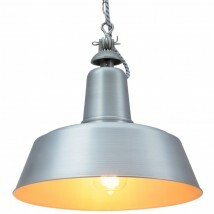 The lamp is also suitable for bathroom lighting, in the sauna or even for outdoor use. Available in various brass surfaces or black or white; powder coated.